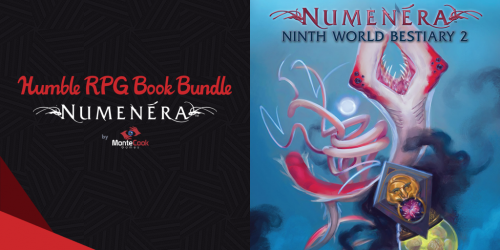 Monte Cook Games and Humble Bundle are joining forces to bring you nine worlds worth of Numenera, a tabletop roleplaying game of exploration and discovery set a billion years in the future. 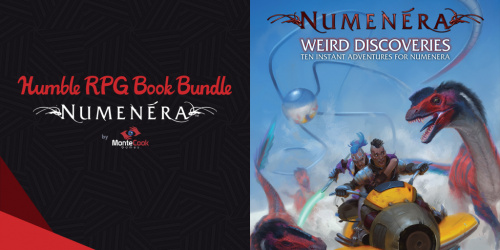 The game is easy to learn and fun to play with this bundle of digital corebooks, adventures, bestiaries, maps, guides, and more. The multiple award-winning system (Origins Award for Best Roleplaying Game; seven ENnie Awards including Gold for Best Setting, Best Writing, and Product of the Year) puts the emphasis on story and is amazingly easy to GM, both in prep and at the table. 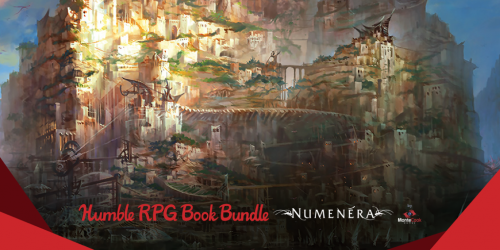 For $1 to $15, you can pick up a massive collection of the tabletop roleplaying game, Numenera. 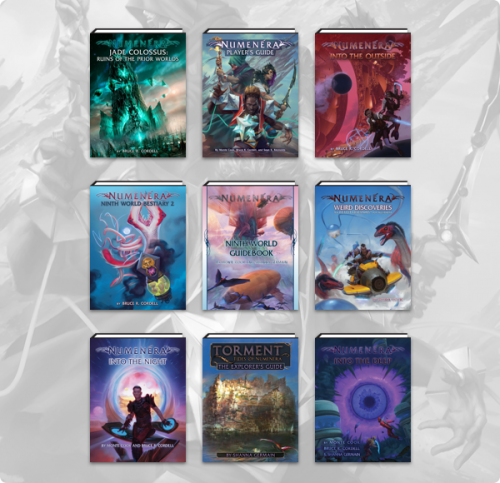 The Ninth World awaits you! 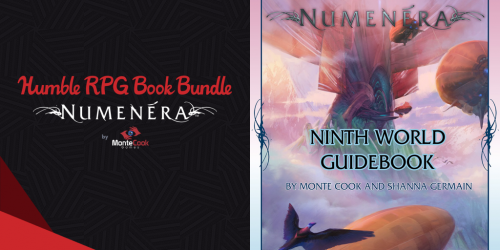 Grab your HUMBLE RPG BOOK BUNDLE: NUMENERA BY MONTE COOK GAMES here before it ends on Wednesday, February 6, 2019 at 2:00PM EST. 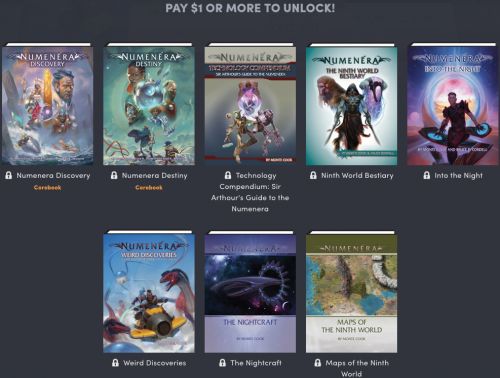 For $1, you get the Numenera core rules, bestiary, and more. 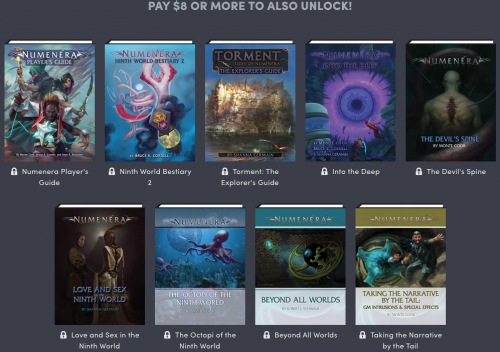 For $8, you get the player’s guide, more monsters, more worlds and adventures. 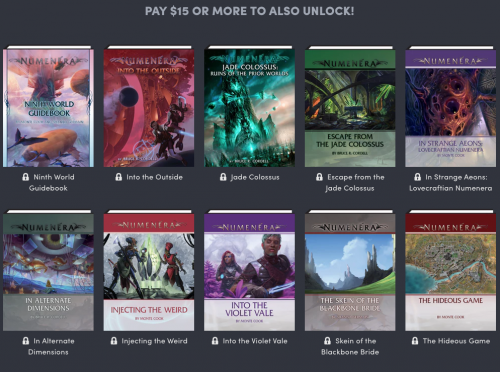 For $15, you get enough Numenera to keep you going for years. 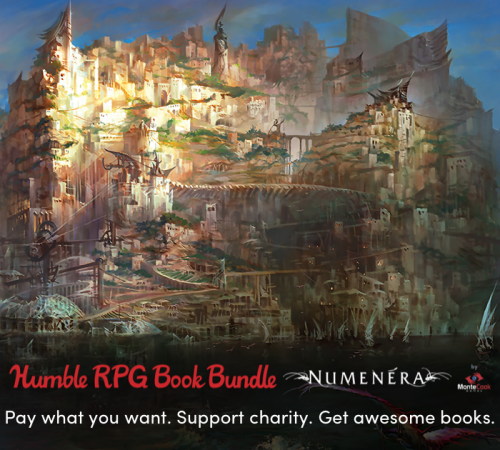 Best of all, a portion of your payment goes to charity so you’re benefiting the publisher and a worthy cause! 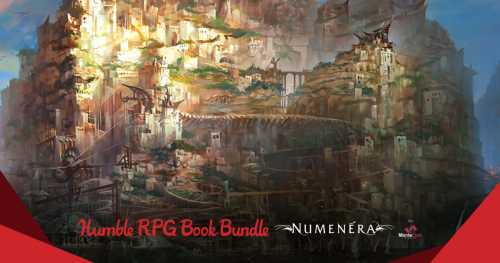 Interested in the Numenera bundle? Try it out here. We’re going to go from hitmen to stuffed animals as we look at tabletop role-playing games on Kickstarter you should back! Let’s count’em down! Ends on Sunday, July 16 2017 5:31 PM EDT. “Support ConTessa’s mission of diversity in tabletop gaming by funding plush versions of our mascots! For nearly five years, ConTessa has been changing the face of gaming through the awesome power of positive representation. To pay for all that, we sell ConTessa merchandise in the form of pinback buttons, magnets, lanyards, and t-shirts. Through these sales, we’ve been able to grow the program, allowing us to run bigger events at more conventions where we can reach even more people. One of the most commonly requested forms of merchandise we’ve been asked for are plush versions of our adorable mascots, which we had commissioned years ago as illustrations for both merchandising and promotional purposes. 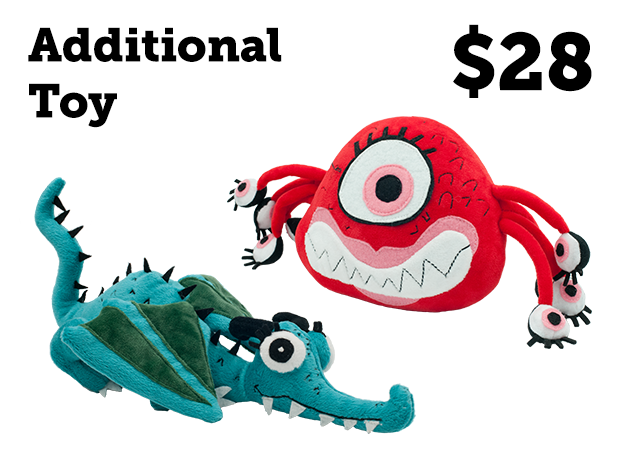 Until now, that possibility was too expensive, but thanks to a combination of our growth, and the fine folks at Budsies, we’re finally able to offer up plush mascots – with your pledge! If this were QVC, you know my grandparents would already be dialing the 800 number! “I know lil’ Egg sure likes The Dee and Dees…” They’d get me Bea and Tessa plus the upsell fuzzy dice! 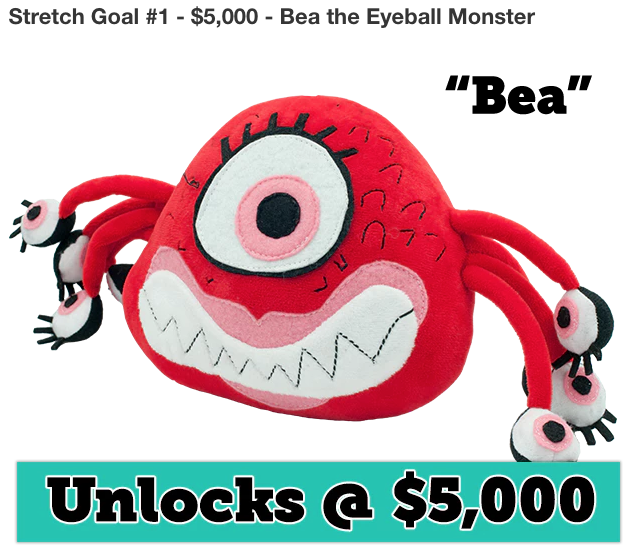 To get Bea the Eyeball Monster unlocked, this campaign needs to reach $5,000. Don’t let Bea down! Ok, Egg, I love the plushes! But what do they have to do with your experiment? What can stuffed animals do for the wanna-lancers* around the world? Ok, let me jump from what passes for Egg-humor to why this project is on my mind: These plushes are more than stuffed animals. They represent a real opportunity to help expand the gaming industry by making it as inclusive as possible. 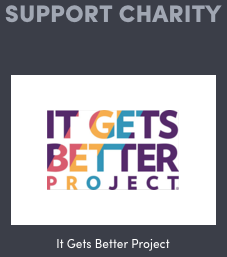 ConTessa is “…an organization dedicated to increasing diverse representation in tabletop gaming by running events led entirely by marginalized people, and enjoyed by everyone. We run our own conventions online, and attend popular conventions around the United States, bringing games, seminars, workshops, and panels using our innovative convention-within-a-convention format. We aim to provide open, inclusive, and safe environments that diversify what a leader looks like within our hobby.” This is for a good cause… whether that’s diversity or Plush Bea-Holder is entirely up to you. You can back this Kickstarter here. 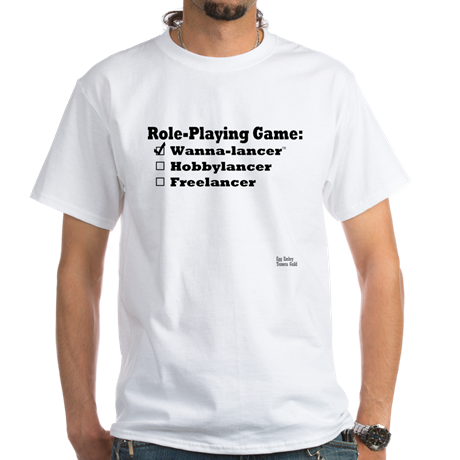 *Wanna-lancers are RPG fans that want to be RPG freelancers. 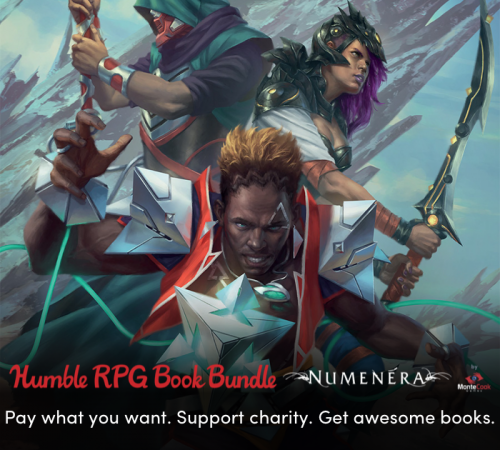 In Egg’s case, he’s building a resume of RPG writing credits by backing Kickstarters offering rewards like creating NPCs, magic items, adventures, and more. Ends on Sunday, July 16 2017 6:59 PM EDT. “Be a super-powered assassin – Era: Hitman, now in Paperback! 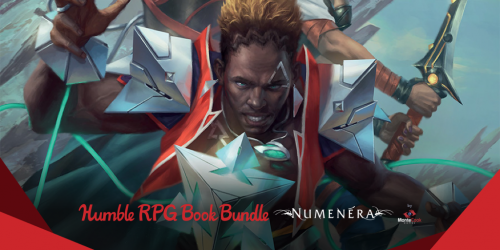 The much-loved super-powered assassin RPG returns to Kickstarter to bring you a printed Rulebook for the first time! In this game, you are a hitman, an assassin who eliminates targets for anyone paying the right amount. Whether your skill is stealth, approaching your enemies unseen, firing a bullet from a neighbouring rooftop, hacking automated defences or demolishing a building to eliminate everyone inside, you are always in demand. With the protection of the Guild, you need not fear retribution once you escape the scene of the crime – the scrubbers have your back. Every trace of you, every piece of camera footage, everyone who will testify that you were there will vanish without a trace. All that falls to you is the kill itself and, in that, you’re an expert. 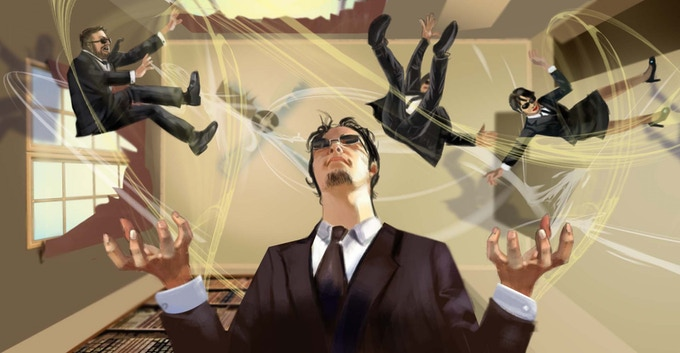 You get to submit an idea for an assassination mission, which we will put into the list of backup challenges on the Shades of Vengeance website, with credit to you for the idea! 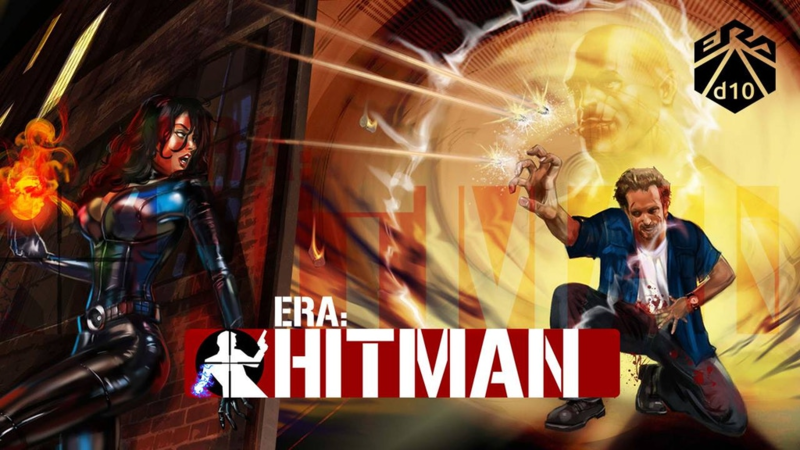 You also get the Physical and Digital Versions of Era: Hitman, along with the Digital Extras! The concept for Era: Hitman is on the nose for RPGs are played – killing for cash. Maybe I’ve played at too many violent tables, but Era: Hitman’s lack of pretense spoke to me. Hack. All. Day. Long. Building from that core, they’re able to seamlessly expand it with their wanna-lancer/vanity press reward, Client. The game’s about hitmen and in this reward, you’re the client and you create the mission. It is immersive and you can already envision the whole project from this reward. Need more? They have a quickstart guide here. Ends on Tuesday, July 18 2017 7:01 PM EDT . “Samyaza is a table top role-playing game built to tackle a more technologically advanced world with magical and fantastic undertones. 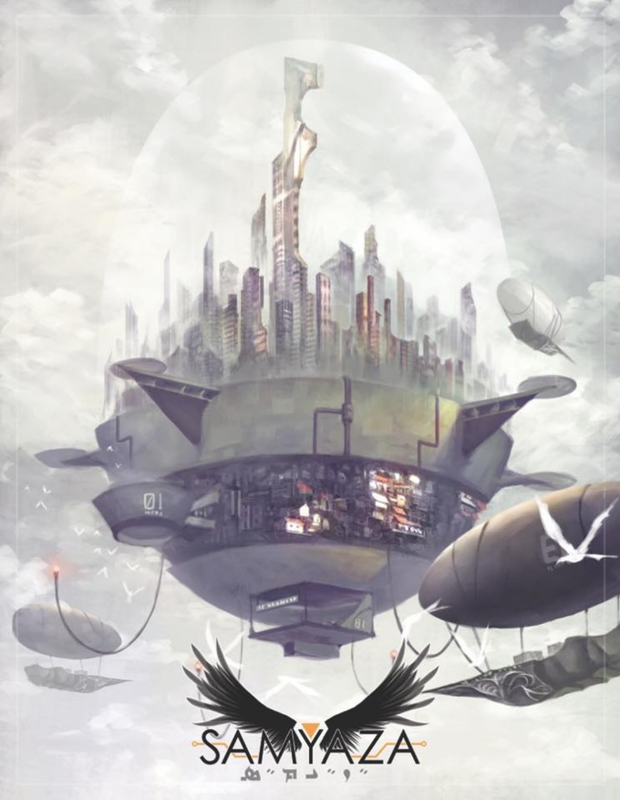 Samyaza is a tabletop role-playing game setting using a mixture of cyberpunk, fantasy, and science fiction. The Samyaza setting spans from the years 1995-2230. I’ve built a setting that uses real world issues of today, what the 80’s thought the future would look like, and some fun twists to keep you on your toes. You will be able to explore the world’s newest marvel, Samyaza, the first city to take flight. Or, should you choose, fight on the ground in New York as the city rebels against it’s corporate overlords. You even have the option of exploring the new Martian front in the year 2230, as the “native” life pushes back. I wanted to create a setting that was flexible and allowed my imagination to really run wild. I wanted to have the freedom to create whatever story I wanted and add any enemy without worrying about it not fitting within a specific setting. This brought me to Samyaza’s first campaign books, the Utah Saga. It’s a two part story built with cyberpunk at the helm but fantasy as it’s second mate. Samyaza is a new system and setting for a cyber-fantasy campaign. With this Kickstarter, you get that plus the opportunity to design a NPC, weapons, vehicles, cyber-enhancements, or a whole party. If you’ve been itching to make something for the near-future set, this may be the one for you. For a fantastic Q&A about this game, visit Dan Davenport’s blog here. Dan hosts a range of RPG Q&As with game creators and they are a wealth of knowledge about the products.